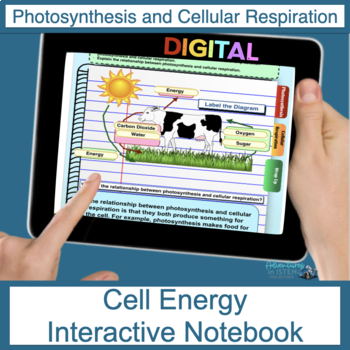 Cell Energy Digital Flip Book that includes photosynthesis and cellular respiration is a digital interactive notebook that operates in the internet "cloud" to allow your students to access, edit, and print from any computer or device. Formatted to work with both GOOGLE Drive ™ and Microsoft OneDrive™. 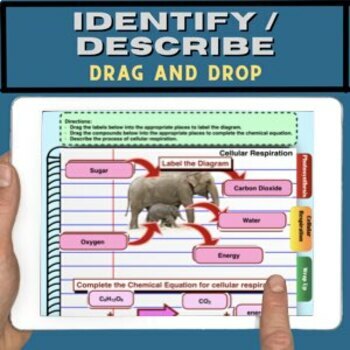 Why use a Digital Interactive Notebook? You might want to also check out my How to videos for using the tools in google slides for a reference guide. If you like this product make sure to click the star and follow me. 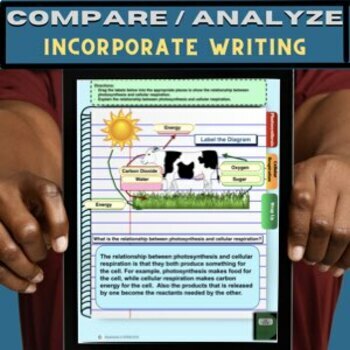 I will be adding more digital interactive notebook products in the near future. *“Next Generation Science Standards™" is a registered trademark of Achieve. Neither Achieve nor the lead states and partners that developed the Next Generation Science Standards was involved in the production of, and does not endorse, this product. 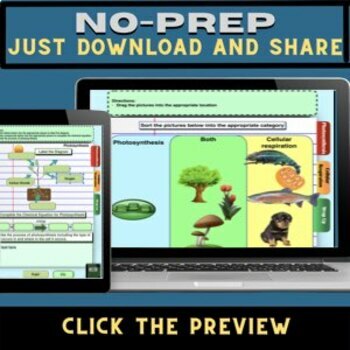 Adventures in ISTEM is not associated with other brand names, product names, or trademarks cited in this publication, including the Google Drive™ online storage service and Microsoft OneDrive™. The Interactive Digital Flip Book is an independent publication and is not affiliated with, nor has it been authorized, sponsored, or otherwise approved by Google Inc. Google and the Google logo are registered trademarks of Google Inc., used with permission. The Interactive Digital Flip Book is an independent publication and is not affiliated with, nor has it been authorized, sponsored, or otherwise approved by Microsoft Inc. Microsoft and the Microsoft logo are registered trademarks of Microsoft Inc., used with permission.